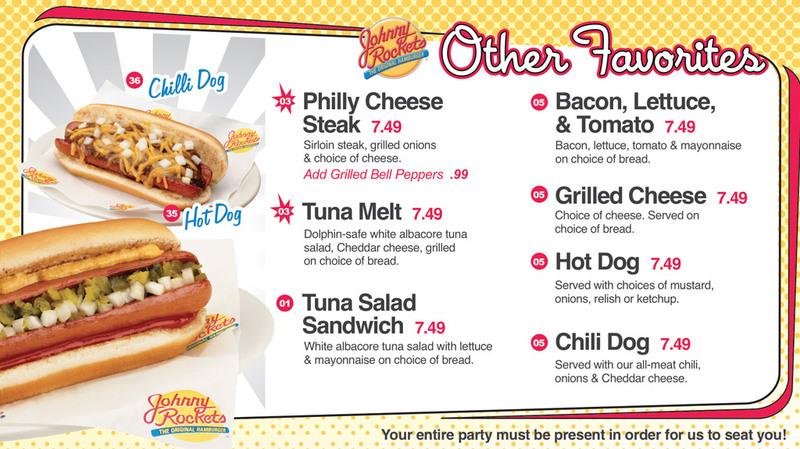 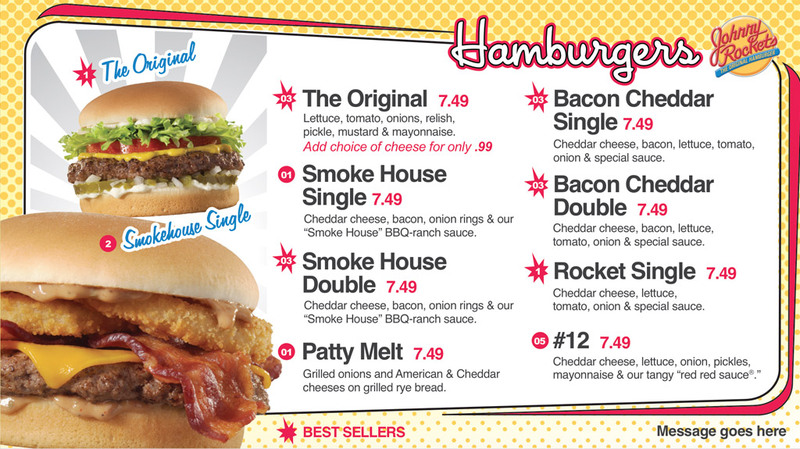 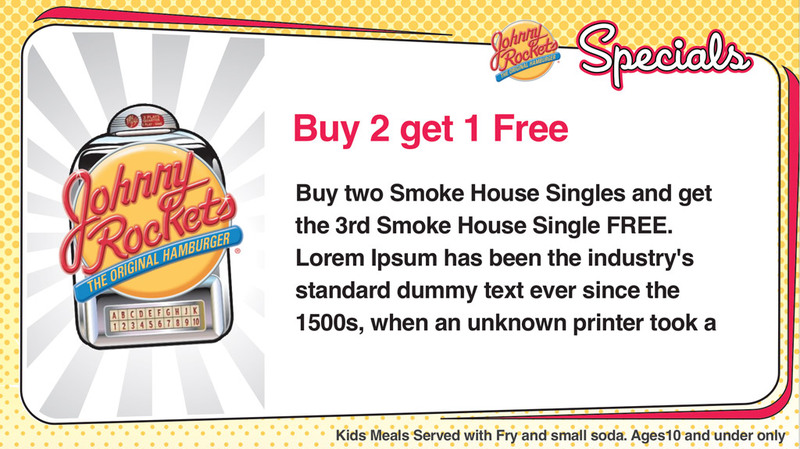 To capture the attention of customers, Johnny Rockets wanted to launch an online-editable and digitally printable menu that conveyed the excitement of the actual dining experience and its menu offerings. 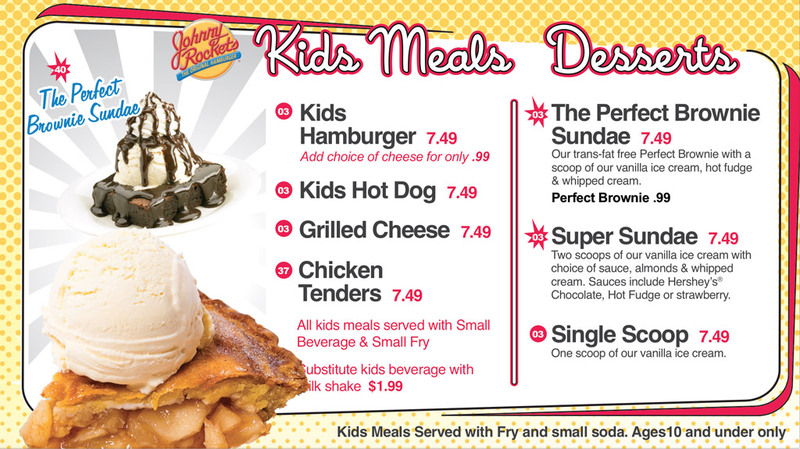 To enable quick and easy changes to the menu while saving on printing costs, the online "Digital Sign" editor needed to provide easy and intuitive "on-the-fly" changes. 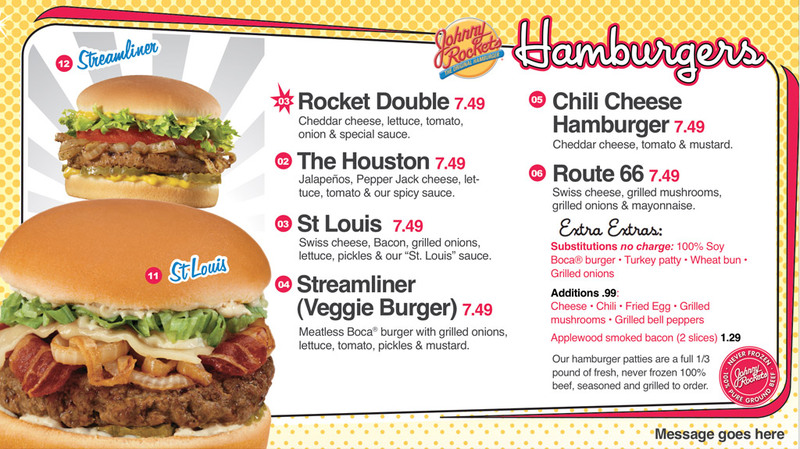 Xzito and Johnny Rockets collaborated to plan all creative elements from images, fonts, copy, colors, and overall style. 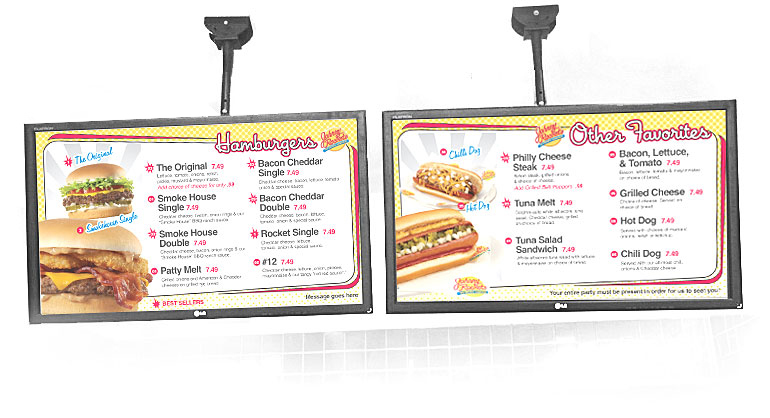 Xzito developed Digital Sign software that enabled on-the-fly editing, via an easy-to-use online dashboard. 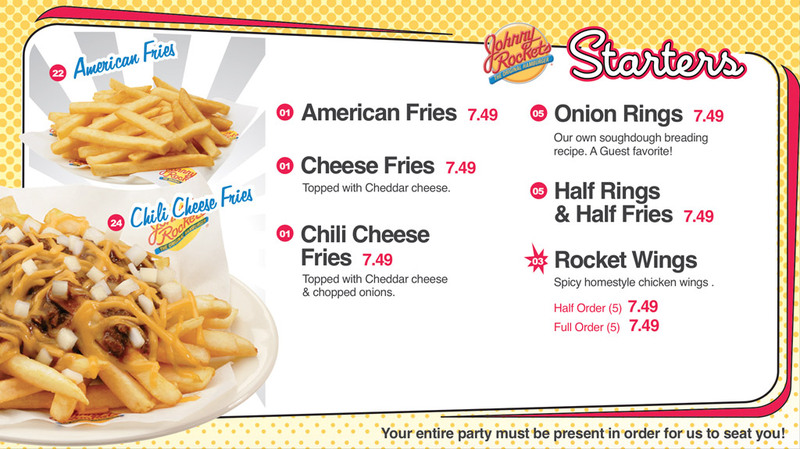 Johnny Rockets new menu has been launched in multiple locations, including Mohegan Sun, Malls of America, and the Providence Place Mall.